There are currently no tickets available for purchase; however, this may change closer to the show. Check back regularly for last minute availability. What do you get when you mix up a marketing genius who does video, a studio engineer who writes music, a pianist who had a successful solo career, and a cellist who does pretty much everything? 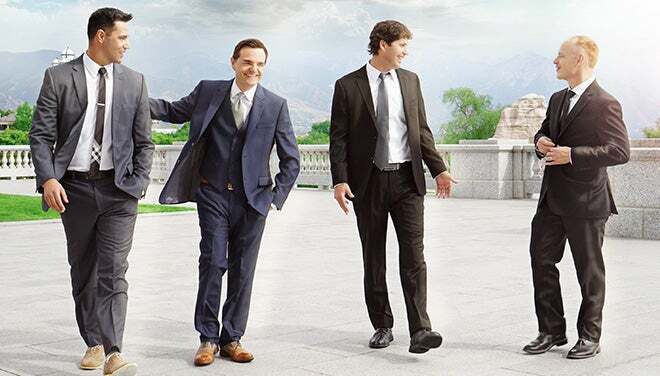 ThePianoGuys became an internet sensation by way of their immensely successful series of strikingly original self-made music videos. Actually, there’s only one piano player, Jon Schmidt, and one other instrumentalist, Steven Sharp Nelson, on cello. Yet the other two - Paul Anderson and Al van der Beek - are equally significant members of the group. It’s the Guys’ highly original blend of classical music with pop that has made them an internet phenomenon. 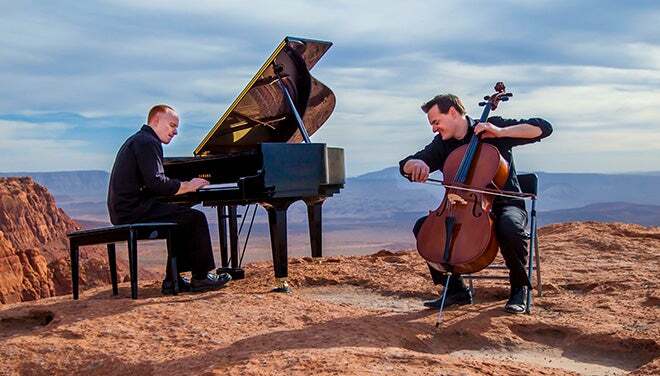 They’ve made over 65 videos since joining forces in early 2011, including their biggest hit, an innovative 10-handed version of One Direction’s “What Makes You Beautiful.” “Code Name Vivaldi” blends The Bourne Identity soundtrack riff with a similarly intense Vivaldi cello concerto in a breathless video culminating with Schmidt and Nelson performing on a flatcar on a high-speed train. “Titanium/Pavane” is a mash-up of French classical composer Gabriel Fauré’s “Pavane” with David Guetta’s “Titanium.” Collectively, their videos have so far netted over 1.2 billion YouTube views. 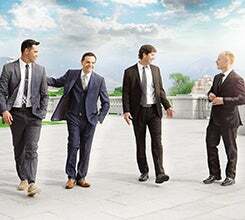 ThePianoGuys have performed everywhere from The Tonight Show with Jay Leno to The Today Show, and have been featured in The New York Times, Fast Company, Buzzfeed, People Magazine, and Mashable. As a special offer for fans attending ThePianoGuys, a digital download of an upcoming album is included with your ticket.